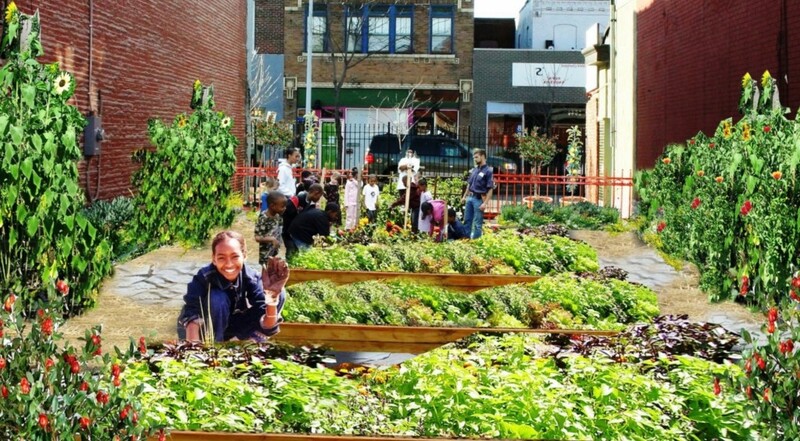 Urban community gardens are becoming very popular. Detroit, with all of its now empty space, is a great place for that. 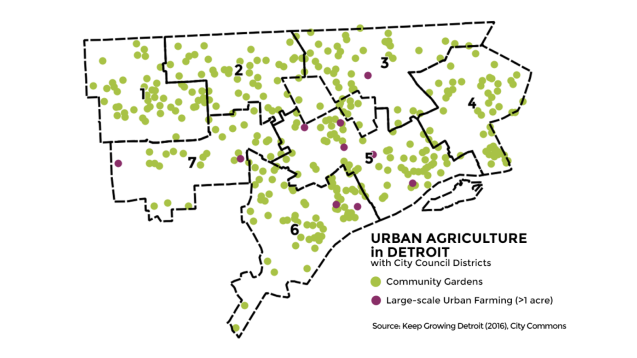 According to Keep Growing Detroit, there are 1,400 urban gardens and farms located in Detroit. Through those operations, urban gardeners have the opportunity to sell fruits and vegetables they grow at local market outlets. KGD has one of the largest farms in the city, but the smaller ones are just as down to earth. Beautiful hymn and ocean scenes to begin your day. Good morning, sand! Love those first two hymns from my childhood. Heartfelt videos. Thanks! Afternoon Lucille! Love the picture! This was not the video I tried to post, but it’s beautiful, too. Blessings Lucille, have a beautiful Holy Week 🙏🏼. Thanks, lovely! The same for you. That was Texas yesterday. Morning WeeWeed! Us, too, S&S!! A wild day, lemme tell ya….. and Mornin’! Morning! Spring has been pretty hairy in Texas, bringing hail, thunderstorms, and tornadoes! Hope everyone is okay where you are. Windy all day, increasing til the rain started; hard rain hit about 10, then came in waves till 2. Total of an inch. 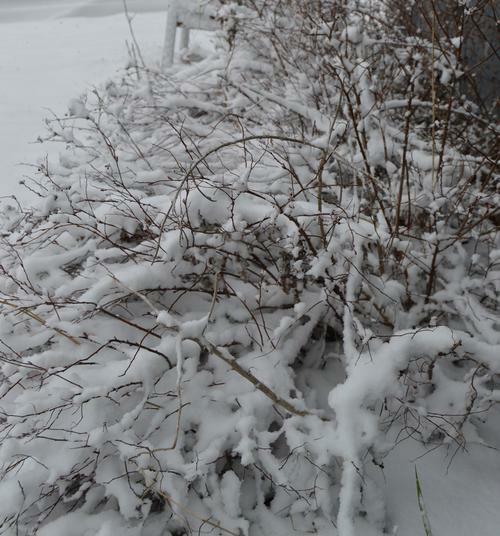 Czar & I will walk down the driveway later to plant some new bushes and see if any big branches, or even trees are down! Morning czarina! Hope y’all didn’t lose any trees or have any damage to your property. It seems like the storms recently have been very intense. It has been snowing here for the last few hours. My DD texted a pic to me this morning, and they had snow on the ground (Oak Park, IL). A shrub by my house 😏. Hitting here now Wee. I needs to borrow those pretty red slippers. Good morning! Mornin’ Menage! Put dem shoes on and prepare for a long day…. stay safe! So far it’s a big fat nothingburger, thank God, but I kind of am looking over my shoulder as I say that. Worst is due this afternoon. Is that the forecast for the democrats election season with Hillary watching it? Nah, The Beast could never fit her hooves into those lovely Ruby Reds. We had on our ruby rubber boots, put parachutes on our Totos and prepared for the liftoff the weatherguessers told us was sure to come our way…. 1.2″s of rain over about 5 hours, some wind and………nada. A cool, clear windy one. We have four days of dry coming, waiting for weatherguessers to start talking about our facing a potentially disastrous drought. So far we had a little rain this morning then lots of sun. It’s very sunny now, but that wind is ripping. I’d bet it is 20-25 mph easy, more sometimes. We’ve had wind for a few days, yesterday we had gusts hitting around 50 as the line went thru but we’re protected by friendly trees in all directions except the north. Weird to see the trees 50 feet up arockin’ and aswayin’ but just feel a breeze on the ground. Good day, WeeWeed! Take care! My grandfather had a garden, I was terrified to go into it as a child, but he also had raspberries, cherry tomatoes and strawberries planted in the gangway which meant I didn’t have to go inside the garden to to eat from the plants, warm raspberries and tomatoes fresh off the plant are so good 🙂 . Southern favorite is warm-from-the-garden sliced tomatoes with mayo on white bread! When I’m picking I always eat some of the produce. Just rub it off on my shirt to remove the crunchy dirt! My city friends are 😳 appalled! I’m healthy and happy! Research shows your garden dirt is good for you! That’s a Michigan favorite too! I once offered a friend from New York a tomato sandwich, and he looked at me like I had two heads. We had that every Saturday night when I was growing up. My mom’s mom was from Paris, TX, where they eat pintos with cornbread, no rice. Sweet cornbread. We had pinto beans and cornbread at least three times a week. But, no sugar in the cornbread. My daddy said that fluffy sweet cornbread was really corn cake. He liked it, too, but that wasn’t considered cornbread. my mother always used bacon grease in skillet, and fresh cornmeal and NO SUGAR at all. Do y’all do fried green tomatoes? Sometimes at the fairs and especially at my favorite, the fall crafts shows, you can get a fried green tomato and thick sliced bacon sandwich and it is mighty good. Never saw them till I moved to NO. They are a big thing there. Served with remolade, sometimes with a cooked shrimp. I know people in the South love them. Actually, fried anything…. Can’t have fried green tomatoes without remolade! We didn’t. Mother used green tomatoes for pickles. I haven’t had them but I love fried cauliflower. I could eat that every day. Mornin’ everyone. 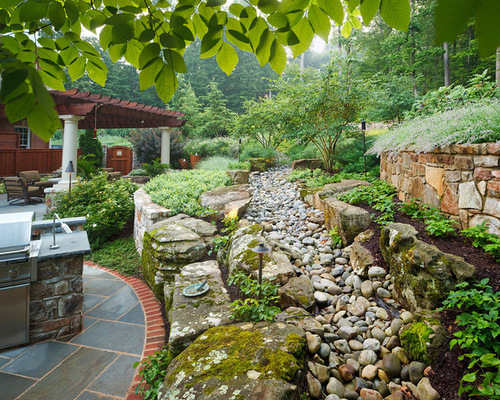 It is great to know that there are gardens like that in Detroit. People need to be connected to the Earth. When I lived in England, I found out about “allotments”. During the wars, the people divided up any spare land and planted on it. Some people still have the same allotment as their Great Grand Dad. They just hand them down. The rent goes to the council and it’s very cheap. Like maybe 5 pounds per year. Allotment folk are very proud of their veggies and flowers, and every town has a flower and vegie fair every year! I’ve seen that too. It’s a really good idea! England really needed that during the war, since before the war they had been importing 60% of their food. During the war they couldn’t do that, mainly because of the blockades, although they did get some food from the USA, so gardens were absolutely essential. Many people also raised chickens, rabbits, and sometimes pigs. That sounds like such fun, and what a thing to pass on to your kids to teach them gardening and being a part of community. I wish we had that here. 2) Representative Dan Crenshaw recognizes and is actively pushing the new momentum of our day. Hey, remember that era in human history when we defended individual freedom and free markets, and let you keep more of your money, and kept government out of your way? That time is now. America is booming. 3) Wikileaks has confirmed the safety of Julian Assange’s cat. Assange asked his attorneys to take his cat in October of 2018 in anticipation of his own removal from the embassy and the cat is currently in the care of those connected to Assange. Hmmm… if he didn’t properly care for the cat why would he have taken such a thoughtful preemptive action? If what we are being told isn’t consistent with actions we can safely presume to be true, what does that say about what we are being told? 5) President Trump and his genius plan to get the Liberal Elites to reject illegal immigrants. Pro tip to the liberal twerps, whatever weapon you bring to a fight, President Trump will bring something more lethal. MAGA minds continue our devastating counter punch. 7) The promise of Palm Sunday. A world, so good to be alive. O Time! Immortal in the paradise of power! 9) That maniac Hillary Clinton thinks she is living in the Game of Thrones saga and we can assume that she likens herself to a heroic figure in the game. I still think this dame is going to have a mental health breakdown. 10) The limitless joy and hope of childhood. Though I never mind seeing President Trump and his cat who ate the canary grin. I love that picture. Just shared it with my husband, who also took a good long moment to enjoy it. It makes me smile. 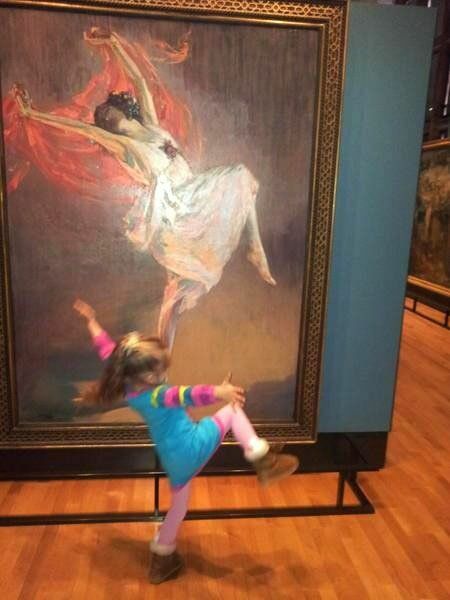 Thank God, thank God for little girls. Amen Menagerie 🙂 . It is so full of joy. It reminded me of my niece. The exuberance is so sweet. My niece loves frilly things, glitter, unicorns she is so much fun to but for. Yes. If I had the money she and her little sister would be overrun with clothes. Come to think of it, between me, her other grandmother and stepgrandmother, she probably is. When I was at the beach a month ago, I found a t-shirt that had a picture of the beach on it that was like one out of a coloring book, just the black outlines. It came with washable pens to color with. So, she and her sister can color the t-shirt, wear it, and then wash it and do it all over again. Doesn’t that sound like fun? My (great) niece would love that shirt 🙂 . My sister and mom supply her with more clothes, toys and whatnots than any child could ever use so I really don’t buy that much for her or her little brother. Morning lovely! I don’t know what type of flower that is, but it’s very pretty. Love that President Trump finds new ways to make the libs out themselves! Morning Sand, I don’t know either, I’ll ask my mom next time I’m down there. President Trump is a savage he gets the Left to season themselves then sits down for the meal. Looks like a Hellebore! Beautiful! She has a few different colors growing. Good morning all. A good reflection here as we celebrate the beginning of Holy Week this Palm Sunday. This is one of the best articles I’ve read in years. 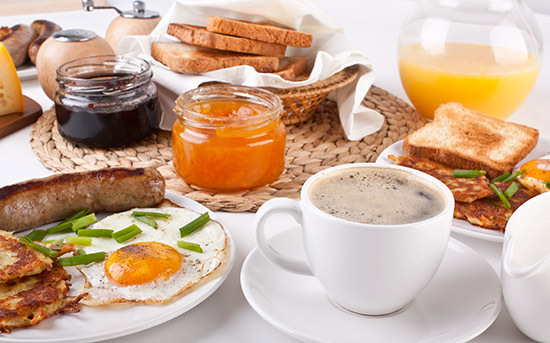 Any of your breakfast products locally sourced from community gardens? To me it’s so strange, so Harlan Ellisonish, to have garden plots in the ruins of once vibrant cities that manufactured products sold ’round the world. Cities that once manufactured things you could hold in your hand are now growing fruits and vegetables on vacant factory stores and parking lots. I keep waiting for newspapers to report that the Morlocks are coming out of the urban sewers and abandoned subways to eat the Eloi. Sorry, best we have is Nancy Pelosi but she’s loud and shrill. I gotta reply to that but it’s too close to the edge for here. Most of the available land in Detroit is where old homes were torn down – whole neighborhoods! Factories still exist in Detroit (believe it or not). Chrysler and GM have plants in the city. Ford has mostly stayed in Dearborn and parts west of the city. Of course there’s the old Packard plant, which has become an internet sensation. Y’all still have cars, plants that made steel and electronics got hit hard. The docks in NOLA and the businesses (like our steel plant on the river) got nailed solid. NOLA used to have the longest contiguous docks in the world but few are still functioning, a lot of dock space has been turned in to tourist venues and a lot of the remaining is deteriorating. There are a few community gardens here but they’re mostly for fun as the local poverty-line diet is largely fast food and dialysis oriented. By the way, the gardens are a big improvement over the weedy lots covered with garbage, old tires etc. Or the abandoned houses, inhabited by junkies. No doubt but from what I’m seeing in my admittedly small slice of life they’re more of a ‘yuppie’ dalliance than a major dietary change. As we found out in the 60s/70s trying to get folks traditionally immersed in unhealthy diets to change to something considered healthier is hard. We had (may still have) a farmer’s market in NOLA where farmers from outlying areas brought in produce. There is also an open air market on the Westbank side of the city’s outskirts where local fisherpersons have long sold their shrimp, fish, oysters, crab, etc. 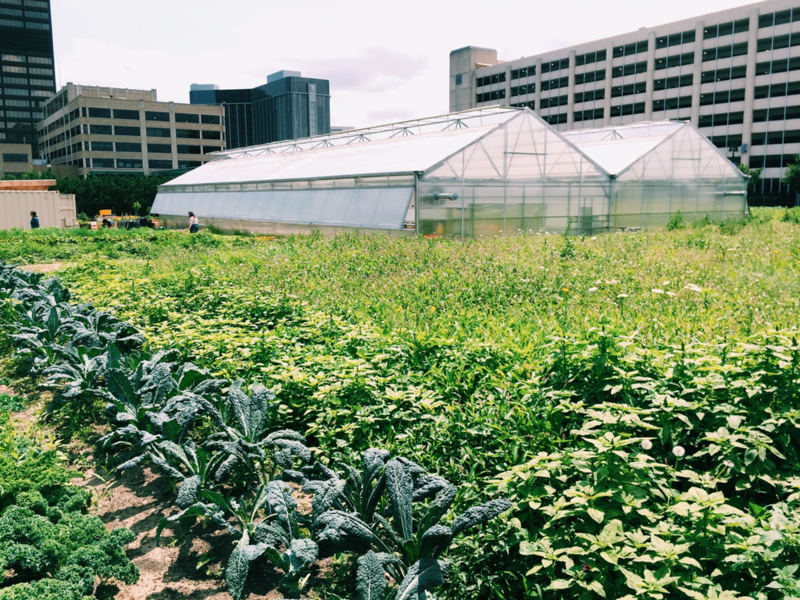 I think you see more of a diet change when people start to grow their own veggies in a community garden, especially the kids, who influence their parents. In some places maybe but food choices in the…traditional…population here are really embedded. We have a whole lotta young carpetbaggers since Katrina, folks that heavily look down on traditional NOLA cuisine, and I’m betting they probably garden organic, sustainable, non-GMO, cruelty free heritage veggies in a repurposed industrial chemical free lot. Out here we does it cuz we kin. A food choice that doesn’t really apeel to me. All I can say is that if people aren’t eating the veg, they will stop growing it. Speaking of Harlan Ellison, did you ever read the article he wrote about the dinner he had with L. Ron Hubbard in which L. Ron said he could start a religion and people would flock to it? Ellison laughed at the cynical thought and Hubbard swore he could do it…that it was a cinch. Yeah, heard about that. I’m bettin’ that he wished he’d have had the financial success as a ‘fiction’ writer the L. Ron did. Experimented with making Ricotta cheese at home. Since I’m lactose intolerant, and most lactose free milk is also ultra pasteurized (bad for cheese making), I used Fairlife whole milk, which is ultra filtered. It is also higher in protein, which is good for cheese. The company is owned by Coca Cola, btw. Anyway, the cheese worked out fine, and is quite tasty. I didn’t use rennet, but unfiltered apple cider vinegar, to form the curd. Cook milk to 175 degrees, drizzle in the vinegar until it curdles, let stand for 10 minutes or so, then drain through cheesecloth for another 10 minutes or so, put in a container and add salt to taste. You could also add herbs or even a bit of cream to change the texture. That was interesting and he could be right. Can someone here post the prayers starting Tues. night? I may be able to get on the Internet at times, but I can’t count on it. I am going to visit my son and his family until the next Wed.
❤ ❤ Thank you. ❤ ❤ Can you post it here and on the open thread next door, or should I find somebody over there? I used to read over there, but I just don’t have the time anymore. I do, off and on. It seems like they finally got control of the open thread. For a while it was crazy. Even if I don’t read there, I post the prayer each evening.